Hedtke Law Group is an Estate Planning Attorney with decades of experience. Estate planning protects your personal assets from the claims of potential creditors. At its simplest, protecting your personal assets begins with umbrella liability insurance, married couples’ ownership of their homes in tenancy by the entirety (as opposed to joint tenancy), and basic exemption planning by the preferential holding of assets in forms that are exempt from judgment execution. At a greater level of complexity, this planning includes the cost-effective use of limited liability entities. At its most complex, this planning also involves the use of irrevocable offshore and domestic asset protection trusts with trust protector provisions. However, even an ordinary revocable grantor trust, if fully funded, confers a measure of asset protection after the grantor’s death. 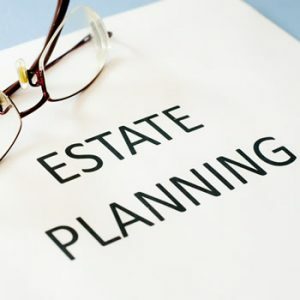 Asset protection in the larger sense, like estate planning, extends to the judicious selection and diversification of investments in accordance with an overall financial plan. Hedtke Law Group is pleased to work closely with certified professional financial planners and other highly qualified insurance, investment and accounting professionals, when and as indicated by our clients’ interests, as part of an overall professional team working together to further our clients’ interests. All the members of Hedtke Law Group seek to protect their clients’ assets in the most cost-effective way possible. Mr. Hedtke’s experience in bankruptcy law and creditors’ rights enables us to provide this assistance to clients at a reasonable cost.